Do you know that April 1st marks my 12th Stampin’ Up! anniversary?! I just can’t believe it. Time flies when you’re having fun…ain’t it the truth! Come make 5 cards and a gift pouch celebrating birthdays, babies, and weddings! All this week I will be featuring close ups of all the class projects so come visit back everyday this week for more details! At Leadership last month, we learned some really cool things to do with Blendabilities markers and I can’t wait to share them with you! In fact, I’ve used two of these techniques on this card so you’ll have to come to my class to learn them for yourself! 🙂 I’ll share the other cards for this class later this week. Something old, something new, something borrowed, something…purple??? I would love to have you come! Here are some fun spring colors for you to enjoy today if it’s a little gloomy and rainy in your neck of the woods! This card is from one of my stamp clubs last week and I get to make it all over again with stamp club THIS week as well! 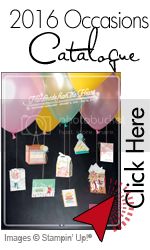 Envelope Punch Board Class to Go Kits!! * premade folder to hold all instruction sheets – 1 sheet for each project featured PLUS a few more just for fun! * supply list for each project so you can recreate them again and again! This card is another stamp club project for this month using Hello, Sailor! I have to say, I’ve been completely overwhelmed with the little notes, supporting comments and inquiries regarding my ENVELOPE PUNCH BOARD BOOT CAMP class!!! Some of you, my supportive readers, who love this class idea but live no where near me, that are interested in the class supplies as a CLASS KIT, stay tuned…..
Because of your support and encouragement, I have decided to offer this class project kit as a CLASS TO GO! Thanks again and have a super day! TTFN! 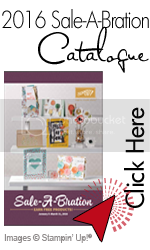 featuring the Envelope Punch Board from Stampin’Up! At $24.95 CAN, this product is a great value! Not only does it make dozens of different sized envelopes, it makes dozens of OTHER projects as well!! Many of you own one, now let’s put these Punch Boards to good use!! * come make 7-8 projects – all made with your Envelope Punch Board! * receive a folder and instructions sheets for all projects PLUS others! * snacks & beverages throughout the boot camp! RSVP: nzandbergen@shaw.ca by April 11th – ONLY 12 SPOTS AVAILABLE!!! to come stamp with us! 🙂 TTFN!